In sub-Saharan Africa, where close to 23 million people are infected with HIV, women are in great need of family planning assistance. 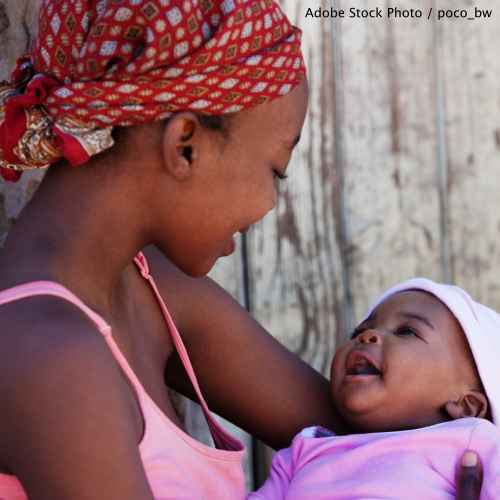 Women comprise the majority of individuals living with HIV in sub-Saharan Africa, and we need to provide better family planning and prevention resources to these women so that they can avoid pregnancy and stop the further spread of the disease. Many women do not want to continue having children, but lack the necessary knowledge and tools to prevent unwanted pregnancies. It is vital for President Trump to fight AIDS throughout his presidency — let's make sure he does. Ask that the president direct increased funding to family planning in sub-Saharan Africa so that we can continue striving toward eradicating AIDS. Now is the time to publicly state your commitment to combating AIDS worldwide. Almost 23 million people in sub-Saharan Africa are infected with HIV — and a significant portion of that number is attributed to children. Women, however, comprise the largest subset in that group, making up 60 percent. Sadly, women in this region do not have easy access to family planning tools that would help them avoid passing HIV along to their partners or their unborn children. That's why we need to step up our efforts to providing these women with resources they can use to prevent further spread of the disease. Please work hard to fight AIDS and direct more funding to family planning resources in sub-Saharan Africa. That's 7,669 signatures! Let's keep the ball rolling.